As many Americans try to come to grips with the fact that Donald Trump will be our next president, it’s natural to turn to movies for guidance, comfort and (maybe more importantly) signs of how we got here. Trump’s victory over Hillary Clinton is being labeled an upset, but a handful of films from the last 60 years have laid out the roadmap that explains Trumpism and the animosity toward Hillary that led to her defeat. That fact that several of these movies are satires now makes them more despairing: These filmmakers were imagining a comically exaggerated and distorted version of America that, suddenly, looks like the one we’re actually living in. For most of the year, political junkies and Mike Judge fans couldn’t help but notice the parallels between his dystopian comedy and Trump’s over-the-top theatrics. In February, Idiocracy cowriter Etan Cohen tweeted, “I never expected #idiocracy to become a documentary,” and by the summer there was talk that the filmmakers were hatching a series of anti-Trump ads based around the movie, which sadly never happened. But the film’s parallels to real life cut deeper than that. Set in a future America overrun by stupidity, Idiocracy is a worst-case scenario of what happens when a citizenry treats reason and intellectual curiosity as bad words, with Luke Wilson’s modern-day Army man being discredited as a “fag” for questioning society’s lowest-common-denominator mentality. Fox famously buried the movie by releasing it on Labor Day Weekend—a virtual dead zone for new movies — but in the 10 years since, Idiocracy has become not just a cult classic but a worryingly prescient commentary about the dumbing down of a culture that’s distracted by sensation and fart jokes. Terry Crews’ President Camacho probably isn’t worse than our president-elect, but let’s see what Trump does once we start running out of French fries and burrito coverings. Director Joel Schumacher once said of his best film, “That was the point of doing it: to cause trouble and also to make fun of the disenfranchised white guy stumbling around L.A. trying to find himself in a multicultural, multinational, multiracial world that he didn’t understand.” In Falling Down, Michael Douglas plays William Foster, a mentally imbalanced engineer who’s been laid off and, on one hot Southern California day, decides to take out his anger at everyone in his path — especially minorities. It’s a gusty performance in a gutsy movie that often walks the line between being a condemnation of William’s racist tirades and a celebration of him as an aggrieved Everyman speaking for all of us fed-up masses. William’s “tell it like it is” attitude presages Trumpism, and the character’s armed-and-dangerous temperament has plenty of tragic real-world parallels in which deranged loners killed innocent victims with gunfire. Combining documentary and fiction, Roberto Minervini’s vital drama takes us to the backwoods of rural Louisiana, where we meet a collection of lower-class individuals who are being destroyed by substance abuse and economic instability. Essentially playing scripted version of themselves, these dispirited, angry people are like a living illustration of liberal elites’ worst assumptions about red-state voters. Indeed, The Other Side captures plenty of racism and xenophobia, and Obama is a constant source of the characters’ frustration. Additionally, viewers will encounter a white militia group who let off steam by spraying bullets around the countryside and preparing for doomsday — which, to them, probably means Democrats coming to take their guns. Minervini dives deep into the poverty and ignorance consuming the so-called “real America,” but The Other Side is also unerringly sympathetic, locating the poignancy in so many marginalized lives. Matthew Broderick didn’t know much about Reese Witherspoon before they started work on Alexander Payne’s second film. “I immediately thought she was wonderful and hilarious and just very original, all in this little cute package,” he recalled. “You didn’t expect this terrorist to come out.” That combination was what made Tracy Flick, the complicated hero of Election, so engrossing. Longing to be class president, Tracy is aggressively, perhaps obnoxiously driven, weaponizing plenty of laudable qualities — she’s dedicated, smart, organized and determines — until they feel toxic. But in the way that Broderick’s bitter teacher tries to block her ambition — first by encouraging a more popular male student to run against her, and then by trying to rig the election — Election also spoke to deep-seated sexism that views assertive women as vile nuisances. The movie highlights, for many voters, why Hillary Clinton’s long list of accomplishments meant nothing: All they could see was the Tracy Flick within. Director Paul Verhoeven likes subverting genres, and with Starship Troopers, he tweaked the sci-fi action movie into something darkly satirical. In the future, Earth must fight off a collection of interstellar alien bugs that want to destroy us all. In the typical alien-invasion movie, it’s clear that we’re the good guys who must crush evil, but Starship Troopers constantly leaves us uncertain, playing like a strangely earnest propaganda film when it’s not dressing Neil Patrick Harris in Nazi regalia. Verhoeven’s point is that what can at first seem like a noble undertaking can quickly bleed over into cruel fascism — a violent worship of power that stems from turning on others who are different than us. Trump’s demonizing of minorities during the campaign — and his voters’ clear disregard of that loathsome behavior — suggests that this blind devotion to an authoritarian figure, sadly, remains alive and well. Whenever a populist figure captures the nation’s attention, A Face in the Crowd will start getting referenced by pundits. Based on a Budd Schulberg short story, this biting Elia Kazan drama is about the power of television to enrapture the masses — and our unwillingness to see a charismatic individual for the scheming manipulator he really is. Before he had a sitcom where he played a lovable small-town sheriff, Andy Griffith launched his career playing Lonesome Rhodes, a conniving country singer who has the ability to tap into the hopes and fears of the American public while plotting his way to greater celebrity and power. 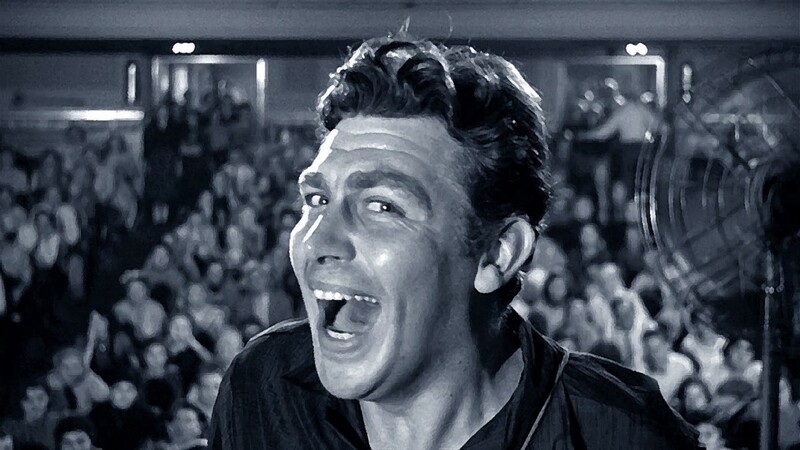 Trump has none of Rhodes’ homespun charm, and unfortunately he wasn’t exposed as a cunning sham the way Griffith’s character was at the end of A Face in the Crowd. But almost 60 years after its debut, this bitter film still serves as a warning about not being seduced by those slicksters on our TV. Lonesome would have made for an entertaining reality-show host, too — but that doesn’t mean he’s fit to occupy the Oval Office.